"BREAKING: Nancy Pelosi to resign after new revelations." 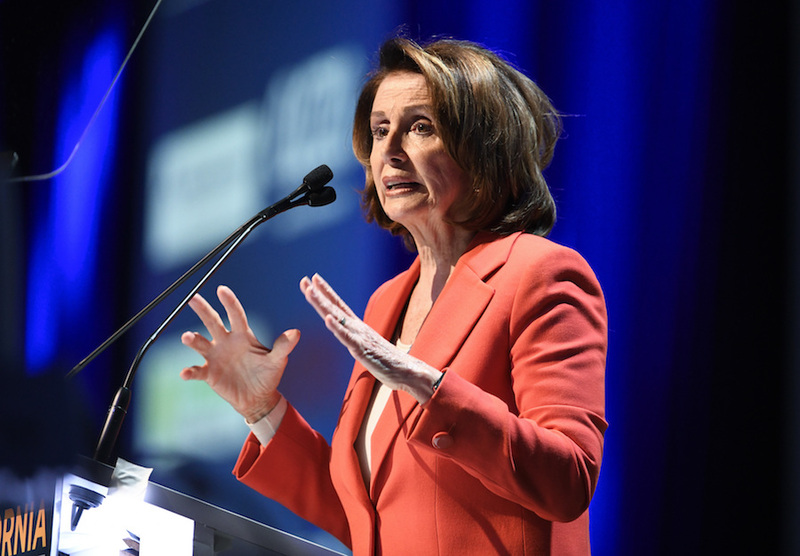 By Mica Soellner on Wednesday, April 25th, 2018 at 4:53 p.m.
House Minority Leader Nancy Pelosi won’t be stepping down anytime soon despite a circulating hoax saying she would resign after "new revelations." "BREAKING: Nancy Pelosi to resign after new revelations," read the headline on NrtOnline, a website that claims to provide unique business news. Facebook users flagged the post as being potentially fabricated, as part of the social network’s efforts to combat online hoaxes. The post is not based in fact. First, a relatively minor point: The article referred to Pelosi, D-Calif., as the Senate majority leader when she is actually the House minority leader. The reported "revelations" are salacious but made up, saying Pelosi is accused of "unwanted advances" toward several staffers. The article claims that Senate insiders told military publication Army Times that there may soon be an opening for a new Minority Leader because of the suggested allegations. However, we didn’t find any articles from the Army Times regarding this information. According to the fake news article, the allegations consist of at least five men and one woman complaining about Pelosi previously making unwanted advances that got swept under the rug. NrtOnline cited the right-wing publication Breitbart for breaking this news, but we found no reports by Breitbart regarding this story, either. The story includes more fictional details about cash payments and promotions, but they aren’t worth repeating. We found no evidence by credible news outlets or other sources regarding the truth behind this story. Pelosi’s office also confirmed that she is not resigning and that nothing in the story is accurate. Published: Wednesday, April 25th, 2018 at 4:53 p.m.